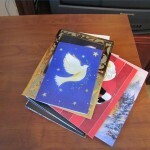 What to do with old Christmas Cards? 8 Simply Great Ideas! Wrapping Gift Tips: Make the Outside of Your Gift Look As Good as The Inside! Crafts: How to make the Easter Egg Stockings! Hobbies: Let’s Make A Miniature Garden! The Ultimate Spoonie Valentine’s Day Gift!